We have delicious Fundraisers for your group or organization. Have our "Kitchen On Wheels" come to your event and provide the best quality food for your attendees. 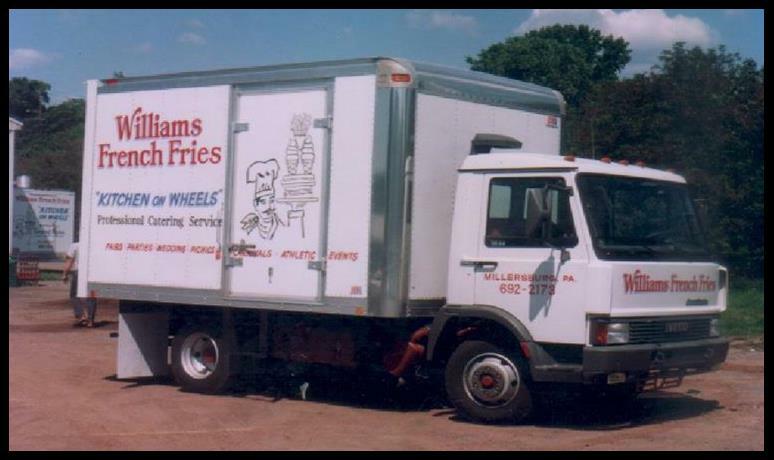 In addition to our legendary fresh-cut Williams French Fries, our professional staff also serve hamburgers, cheeseburgers, our famous Italian hot sausage sandwiches with onions, peppers & sauce, hot dogs, cheese dogs, savory chicken sandwiches, chicken fingers, pork Bar-BQ, funnel cakes and drinks. All food is cooked on site. These catering services can also be supplied as a fundraiser for your organization! 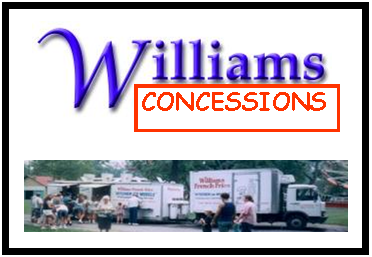 We provide concessions for parades, festivals, school fairs, sporting events and more. Please book us for your next event.